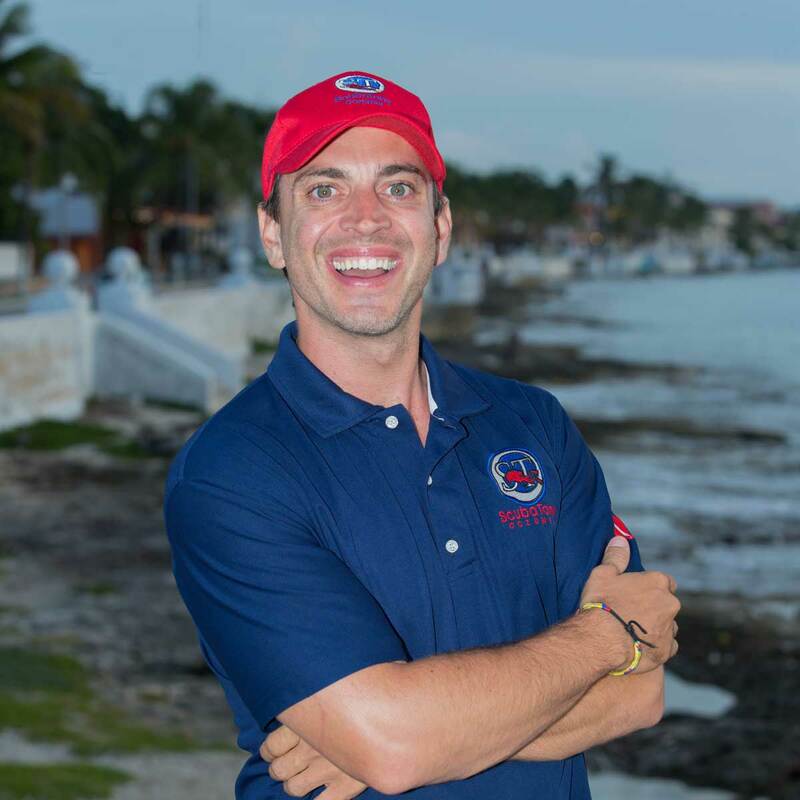 My name is Tony and I am the co-owner and founder of ScubaTony Cozumel. I used to be a police officer in Los Angeles, and one day I learned to scuba dive. It took me about a month to decide that there was more to life than being a cop in L.A. Within a short time I quit my 11 year career with the LA county sheriff's department and went on a walkabout. I landed on Cozumel with a bag of dive gear and little else. I knew little about Mexico nor did I have any friends here but it took me less than a week to fall in love with the island and its people. This island is magical and the diving is some of the best in the world. It is the ideal place to learn to dive and one of the best return dive destinations in the world. I started ScubaTony about 15 years ago with the idea of offering a level of service that no other shop here offered. It was a one-man show but it quickly grew and I found myself torn between diving and administrating the day-to-day operations. It became too much for one man of the sea to keep up with so I found Adam and Andrea to team up with to make ScubaTony even better. With their help we offer more services and continue to improve the operations. I think you will find our level of service above and beyond any other in Cozumel. We don’t have a storefront that you can walk into. All our business is done through our online reservation system and then we bring our service to you. We are not the cheapest but I am sure you will appreciate the quality we offer. Read our reviews on TripAdvisor if you want some outside proof. Back in 1999 I got certified to dive and my life's path has never been the same. I love diving in all kinds of water and through my travels I have found Cozumel to be consistently the best diving. 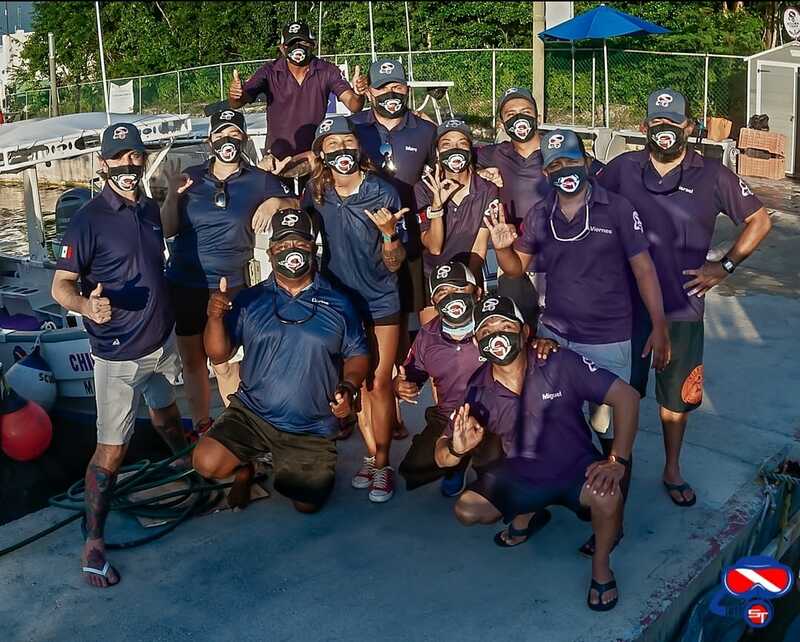 So I started ScubaTony and dedicated my life to creating the best dive service I could. There is no way you could truly understand the sea unless you have lived and breathed below the surface. We look forward to showing you the world below the waves and I know that you will fall in love with this incredible environment as well. 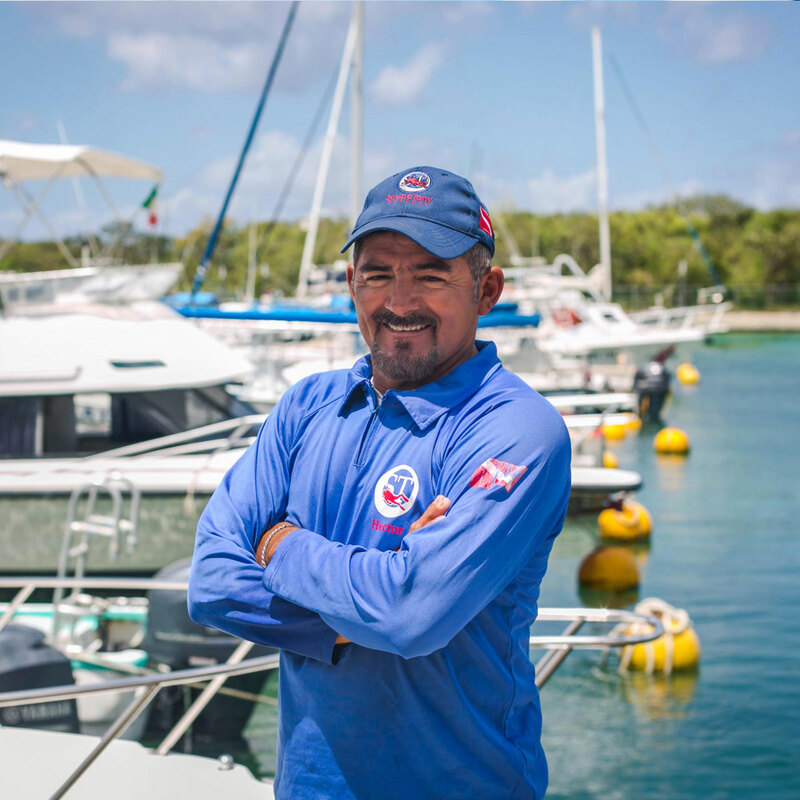 You will also get to meet Carlos, (aka Papo) our boat captain. 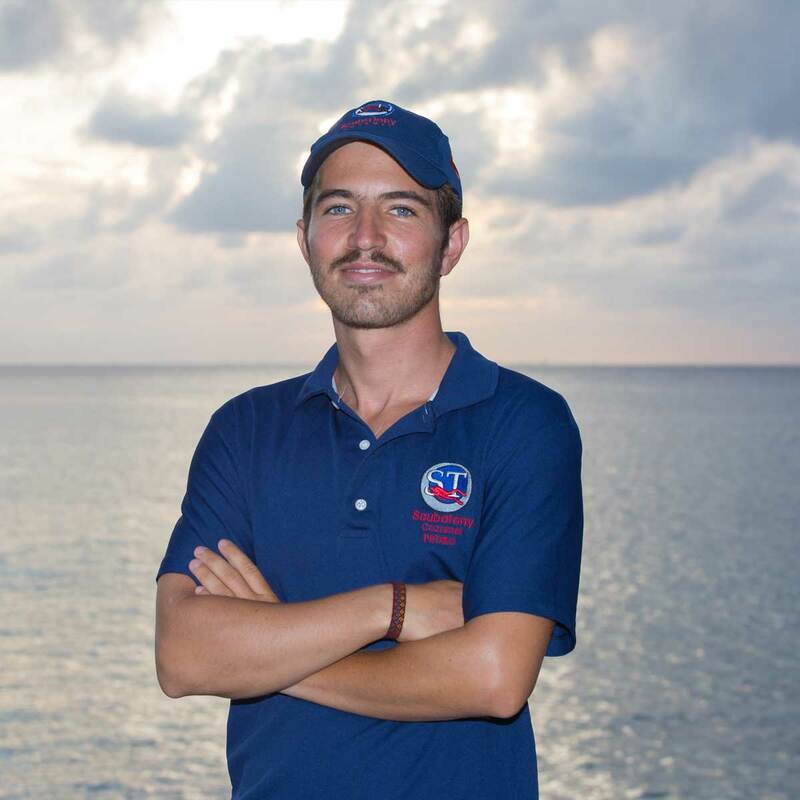 He has over 18 years of experience operating different dive boats in Cozumel. He is the captain of the Chiquilla Bonita (our first boat) and has been since we bought it. He is a human GPS and knows the reefs here better than anyone. He is always there to help out. He watches the bubble and keeps us safe during the dive, then he is there to change out your tank and check your gear when you come up. Carlos is first to offer a fresh shower or a cold drink to make sure you are comfortable while on board the Chiquilla Bonita. 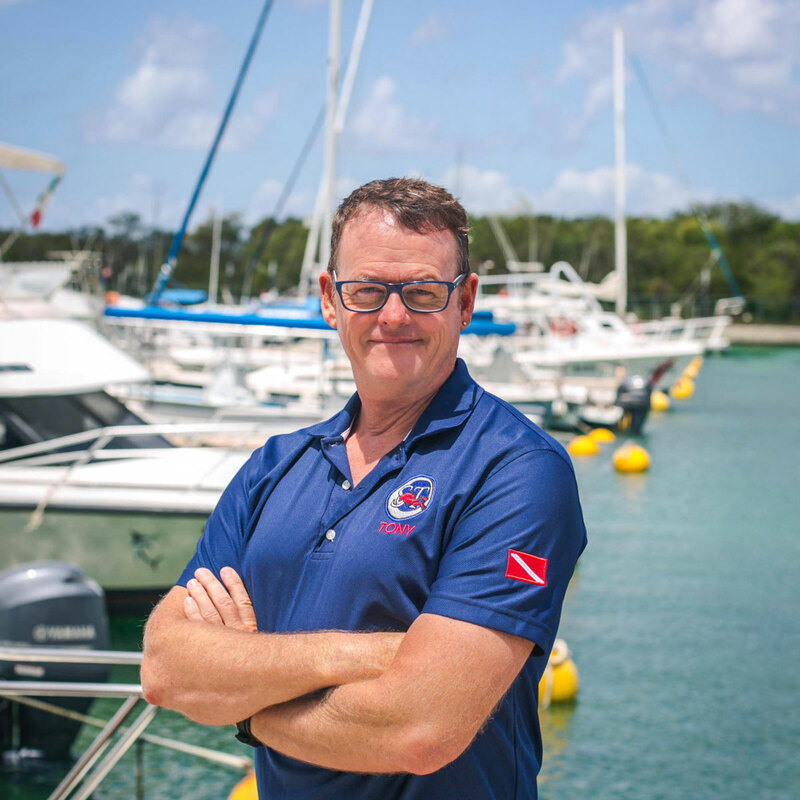 We are very proud to have such a great captain to round out the Scubatony service above and below the water. We are lucky to have Captain Hector (aka Mago) driving the Atila. 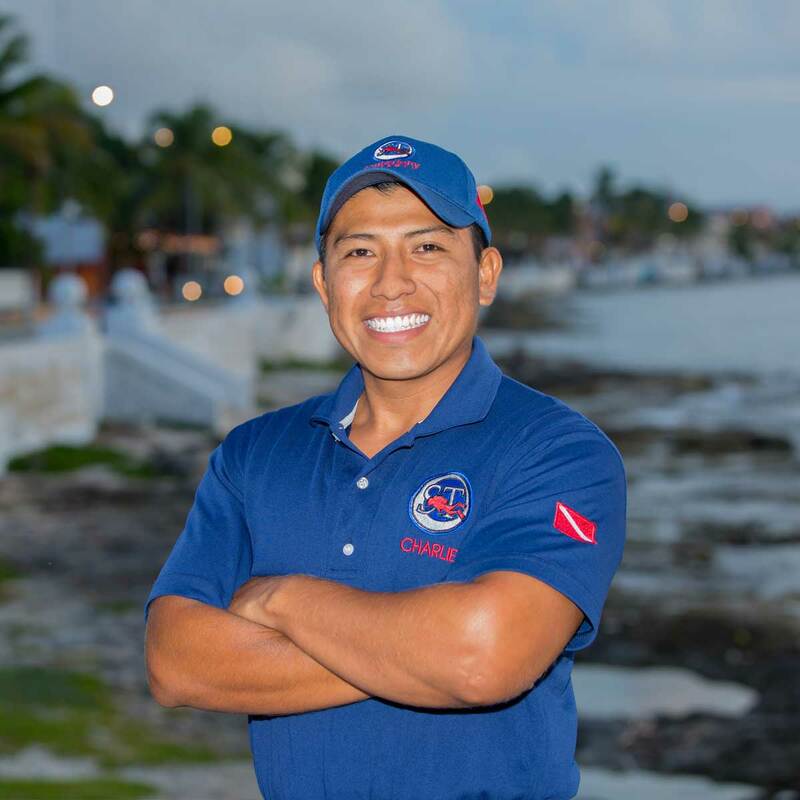 He comes to us with many years of running dive boats in Cozumel. 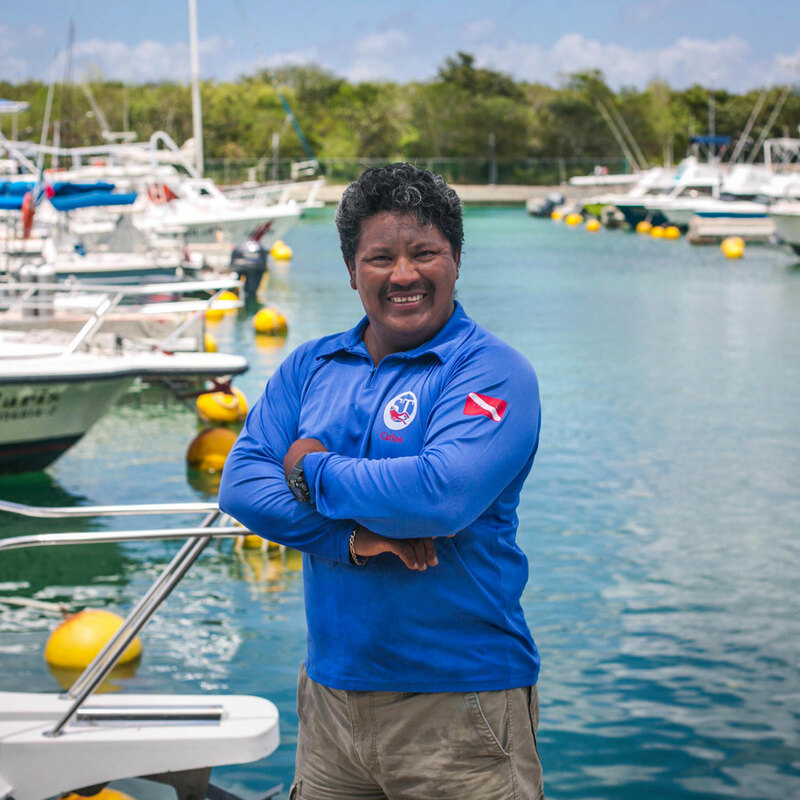 He is a true asset to our crew and knows the dive reefs like his back yard. He had helped me many hours preparing the new boat (Atila) and takes care of her like it was his own. He loves being on the water and loves to meet new people. He will take care of your gear and change out your tanks in between dives and be the first to offer a drink or warm towel when you surface. He is never outside far when you surface and quick to pick you up. I can't say enough about Hector. He is our energizer bunny. He never stops moving around. Always thinking and fixing stuff. I am very happy to have him with us. Don't forget to ask him why they call him Mago. My name is Israel, I am from Mexico city, since I was a kid a was always fascinated by the underwater world (I used to put on a mask and look into a fish tank, so go figure!) 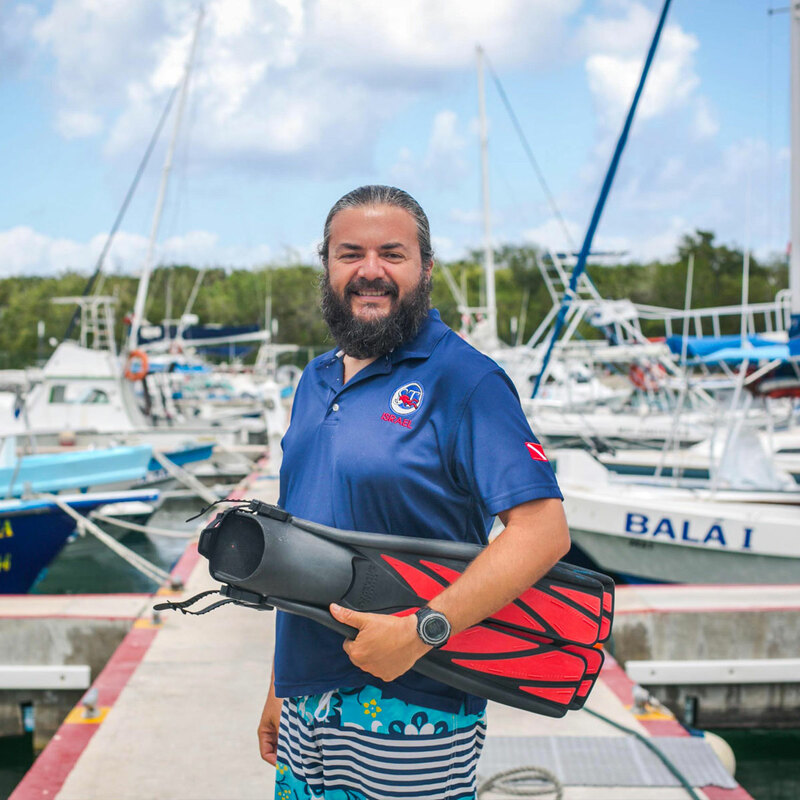 I have been a Cozumeleño for the past 20 years, now I do what I love for a living: diving! I'm more than happy to help others enjoy this fascinating world! Come visit and let me show you! When I was a kid, I would spend hours reading Jaques Cousteau’s encyclopedia and couldn’t wait to go snorkeling by sea. When I was old enough to dive, I plunged in, and I loved it! I kept diving every holiday season, and after a seven-year successful career as a Digital Designer/Animator, I felt the call of the sea, so I did my Divemaster in the Philippines. After traveling and diving around South East Asia for a year, I came to Cozumel to live by the warm Caribbean and have the most beautiful reef as my office. My favorite thing is finding strange animals or fish behaviors that I’ve never seen before; I would love to share that with you!